This is just another very short usage guide for one of my little helper for pentesters and the like. 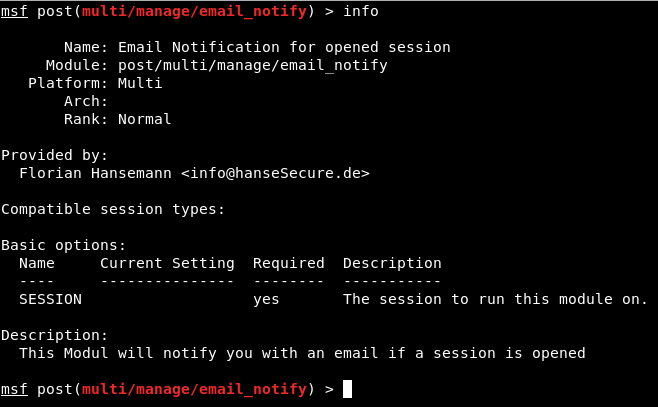 During some assessments with social engineering i want to get informed by my server, if a session is opened. After some time of research i didn’t find any good solution in the internet, so i decided to write my own one 😉 Unfortunately ruby needs a GEM for TLS connections which is not in the MSF repo. 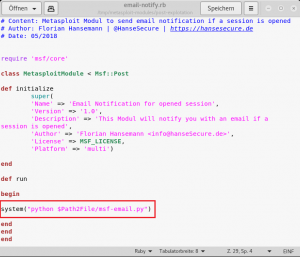 My solution is a post explotation modul, which only calls my python script to send an email. You can find the code here. 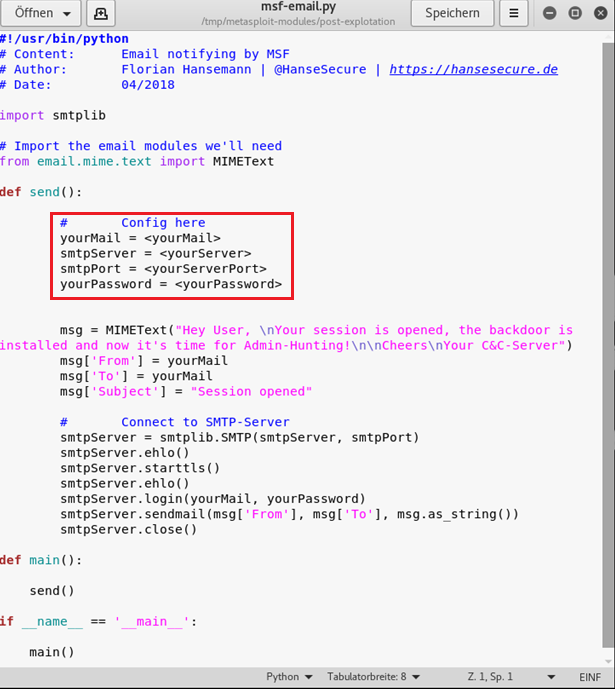 Afterwards you find two files named email-notify.rb && msf-email.py . 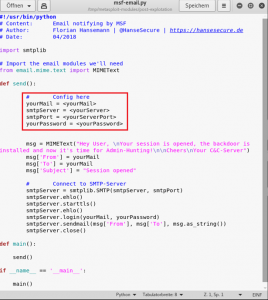 At first we have to configure our email settings for our server in the msf-email.py file. 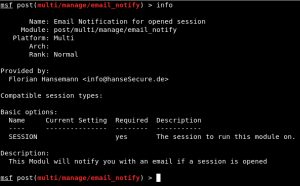 Now you have to change one line in the email-notify.rb file which should point to your altered msf-email.py file. 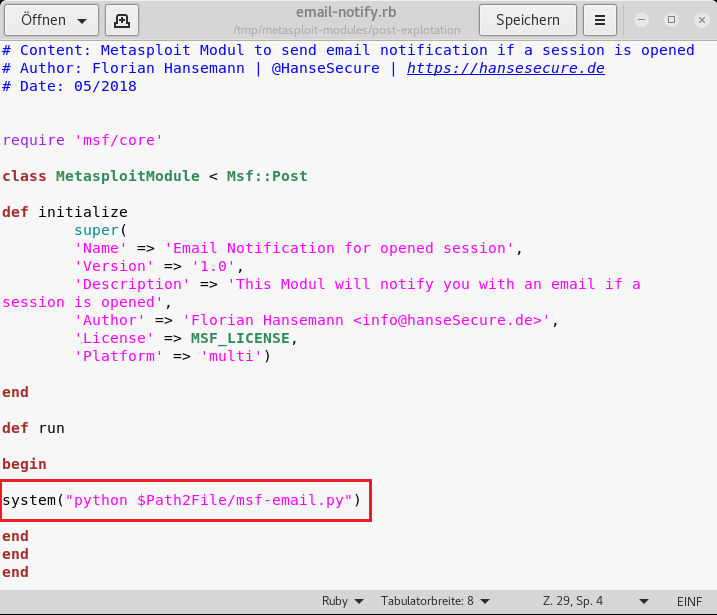 Start metasploit and look at your new post explotation tool 😉 Now you can use the set autorunscript option of your mutli/handler and the email will be send for every new session.